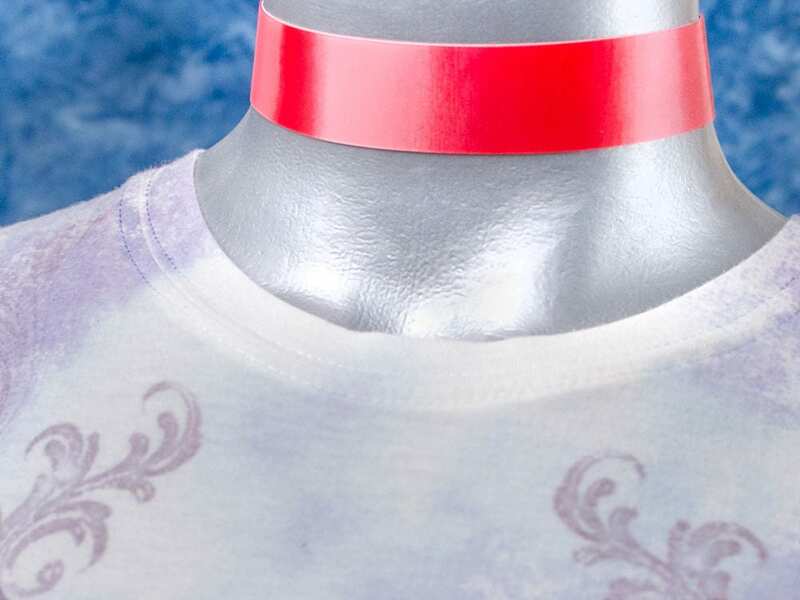 This lenticular vinyl choker shifts from red to pink to white as it bends around your neck. 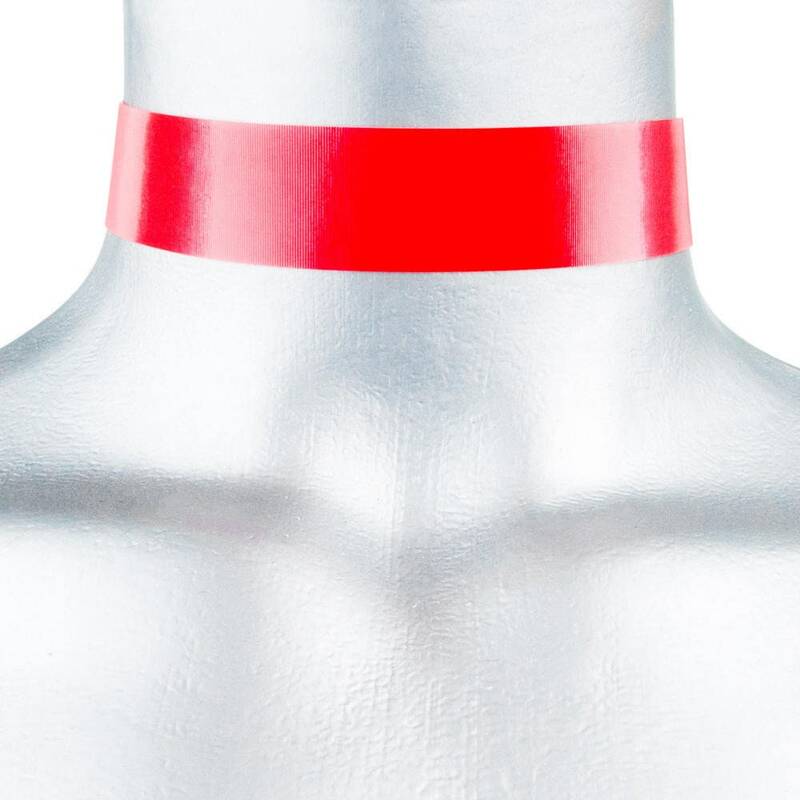 Its 3D effect is somewhat holographic as it constantly changes color. 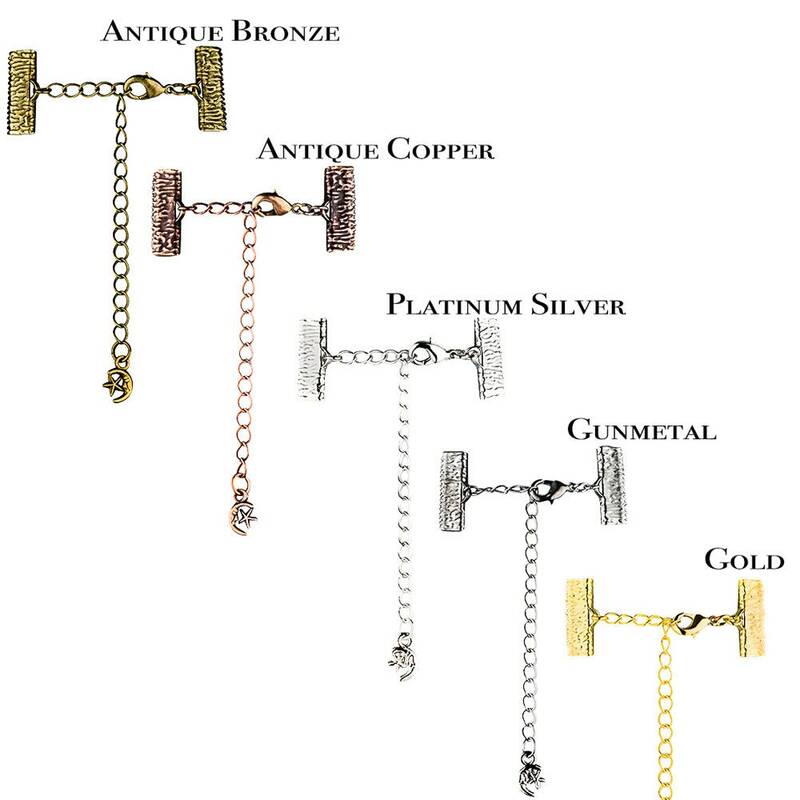 * Adjustable with a 3" extension chain for the best fit. * Each choker necklace is made by hand by me. Small fits 10.75" - 13.75"
Medium fits 11.75" - 14.75"
Large fits 12.75" - 15.75"
XLarge fits 13.75" - 16.75"
XXLarge fits 14.75" - 17.75"
Shipped via First Class with Delivery Confirmation USPS within about a day of receiving your paid order so your choker arrives in your mailbox quickly. Each necklace will be carefully wrapped in a tiny box and arrive ready to wear- makes for a really easy gift! See my other listings for other types of leather chokers, and more!